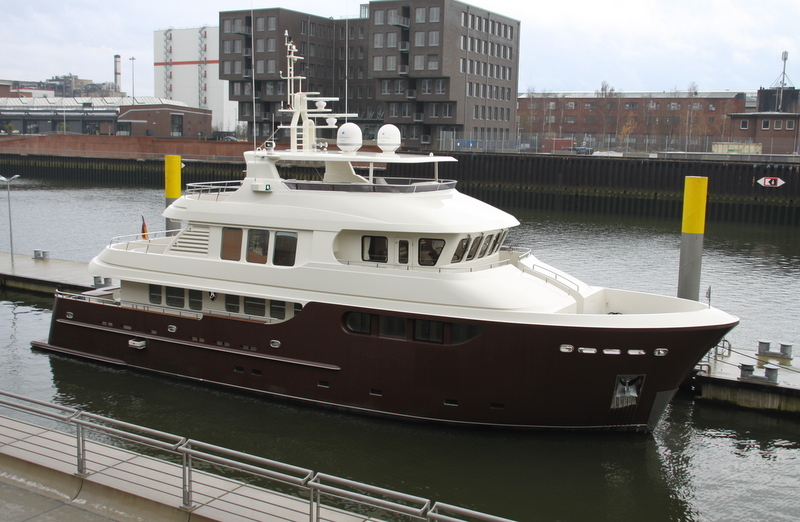 Built in 2008 by Drettmann Yachts of Germany, BANDIDO measures 27.9m (91.6ft) in length and offers spacious accommodation for up to 8 guests, in 4 double cabins. 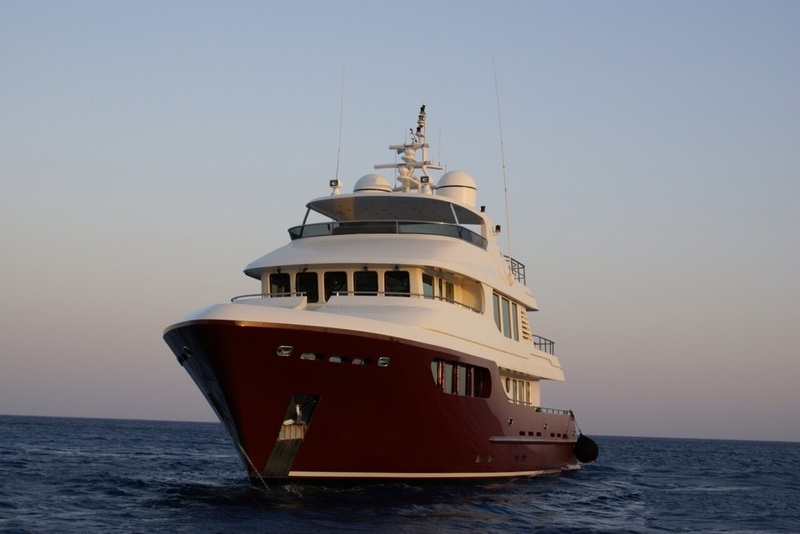 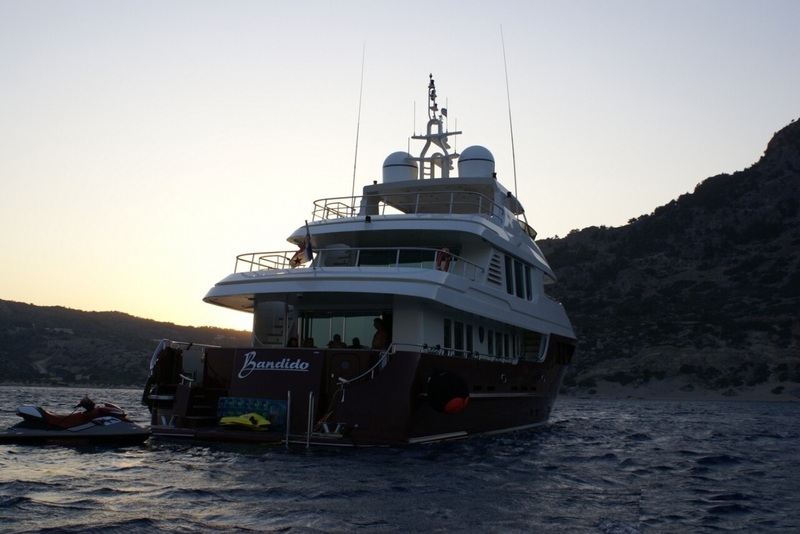 BANDIDO is an explorer style yacht; she has a displacement steel hull and tri-deck design. 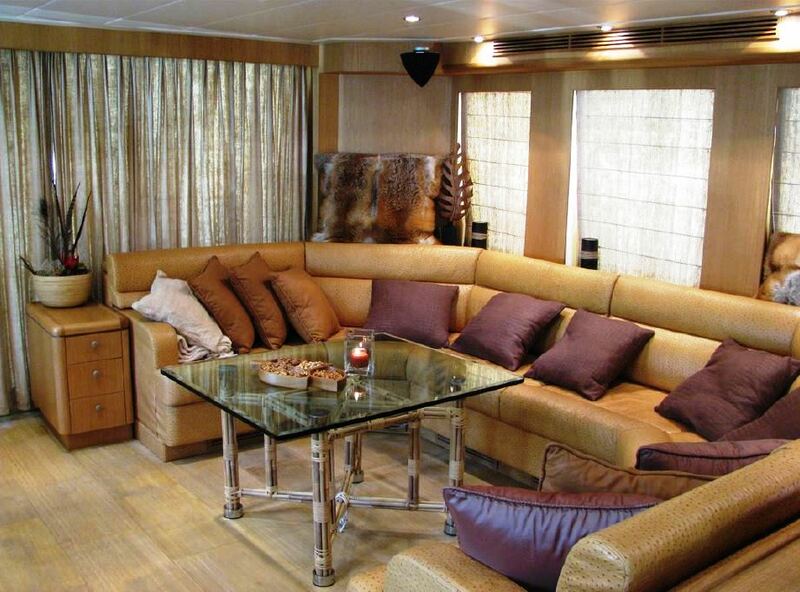 She has a light interior décor and contemporary ambiance. 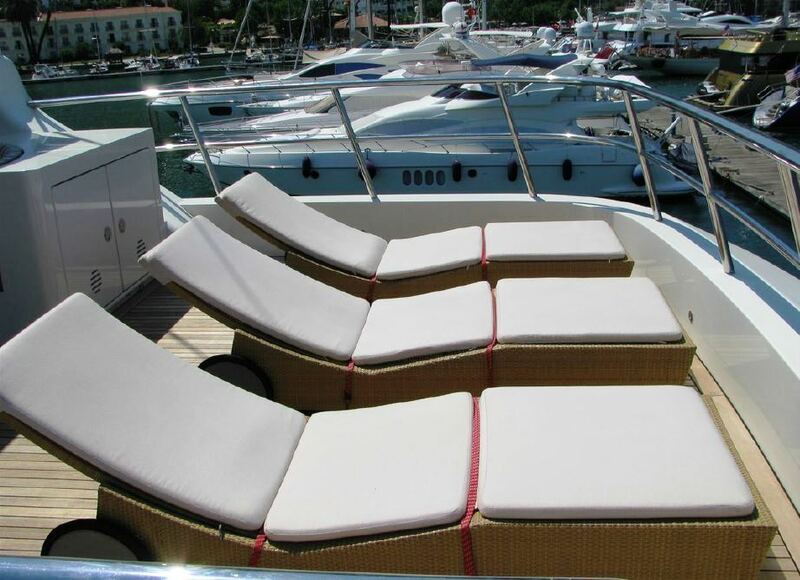 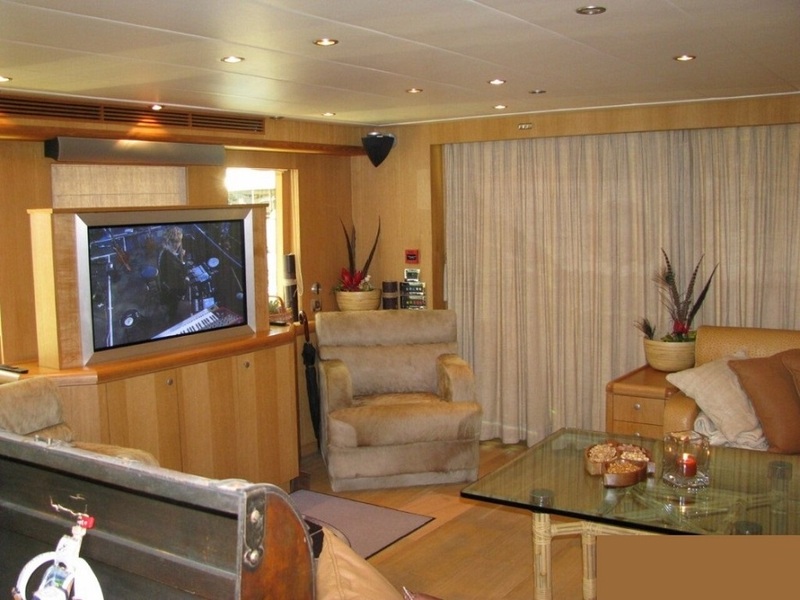 On the main deck is a generous salon with a plush leather sofa, coffee table and full entertainment systems. 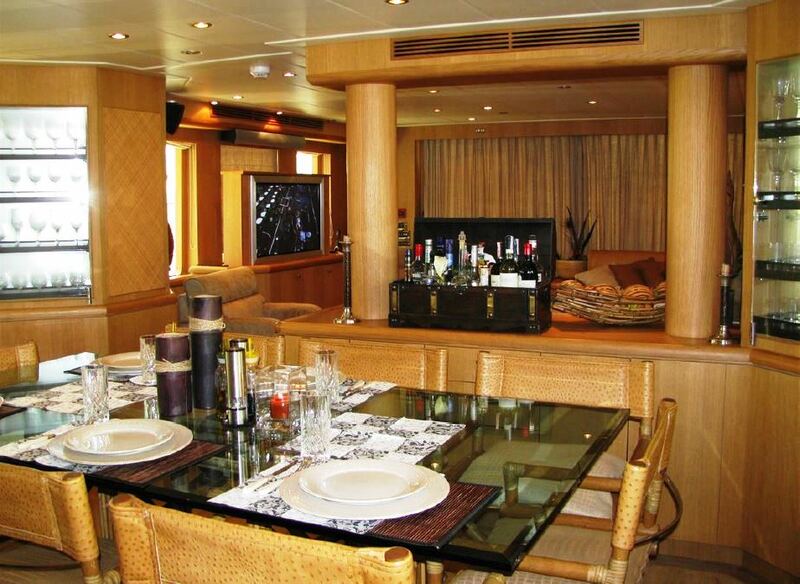 Forward in an open plan is the formal dining table, easily seating 8 guests in comfort and style. 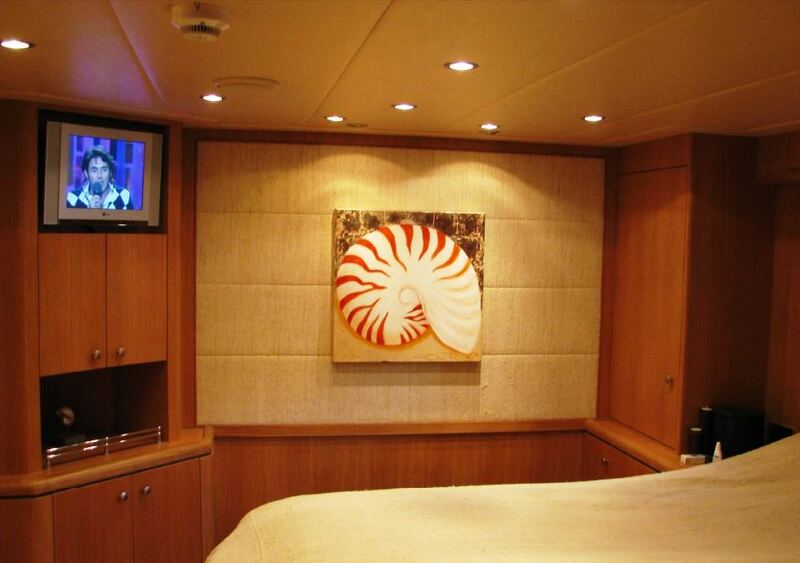 The master stateroom is on the main deck forward of the salon, while 3 additional guest cabins are on the lower deck. 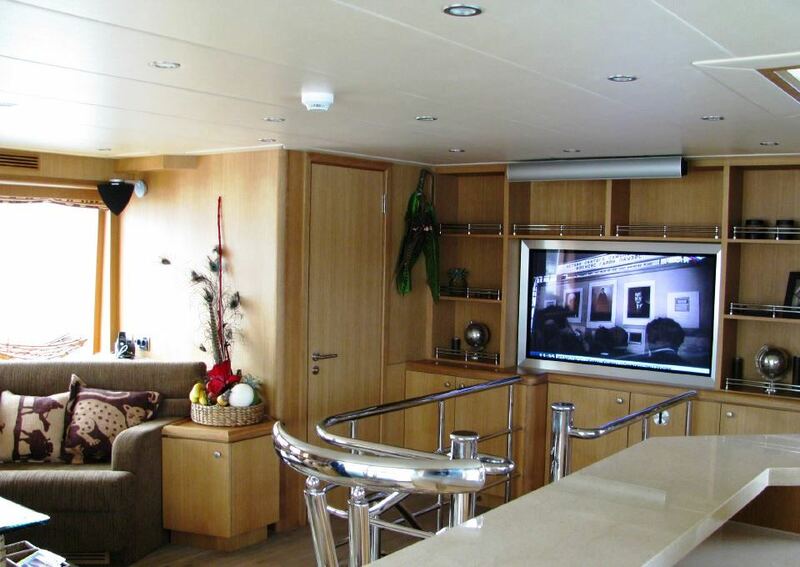 A central stair case leads from the salon into the upper skylounge, with a sofa, coffee table, entertainment and full wet bar creating the perfect social space. 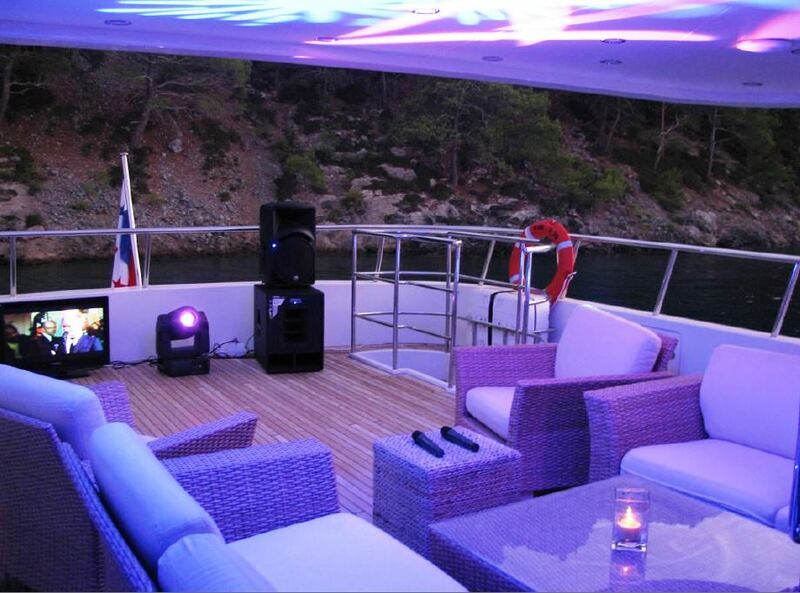 Both the main deck and the skylounge offer a convenient day head on the starboard side. 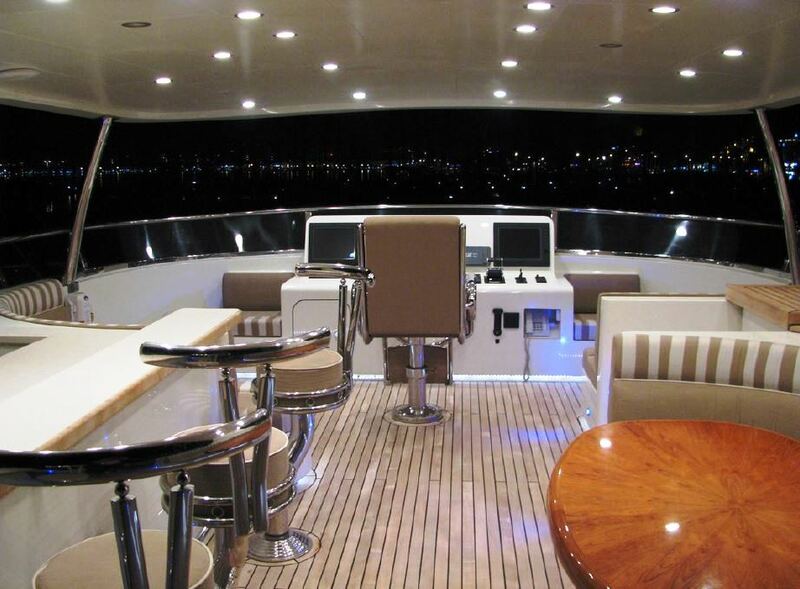 BANDIDO has ample deck space to relax and enjoy. 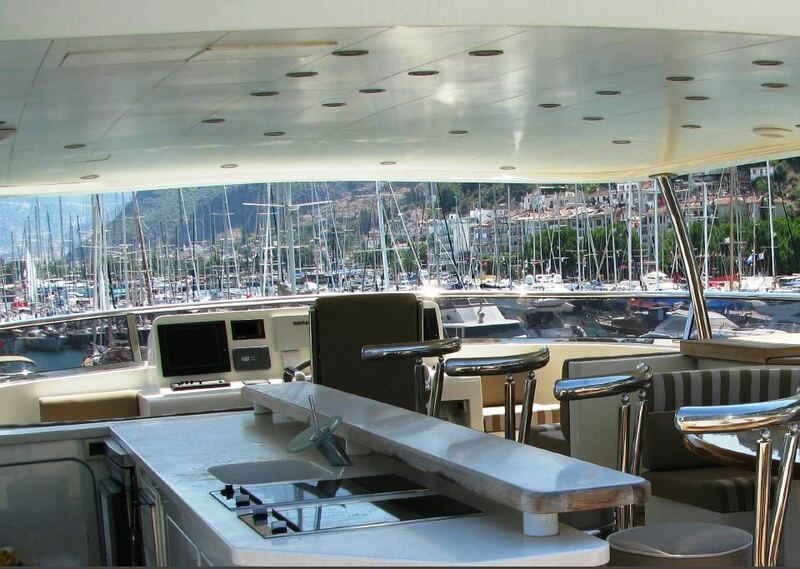 The main deck is adjacent to the salon trough sliding glass doors and features and alfresco dining option and shade. 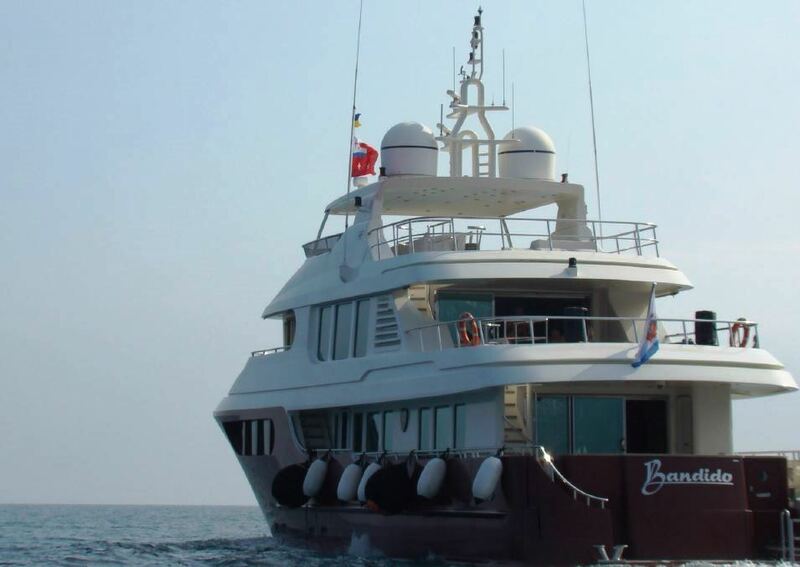 Dual steps on port and starboard lead to the extended swim platform, where guests can effortlessly enjoy refreshing dip in the sea. 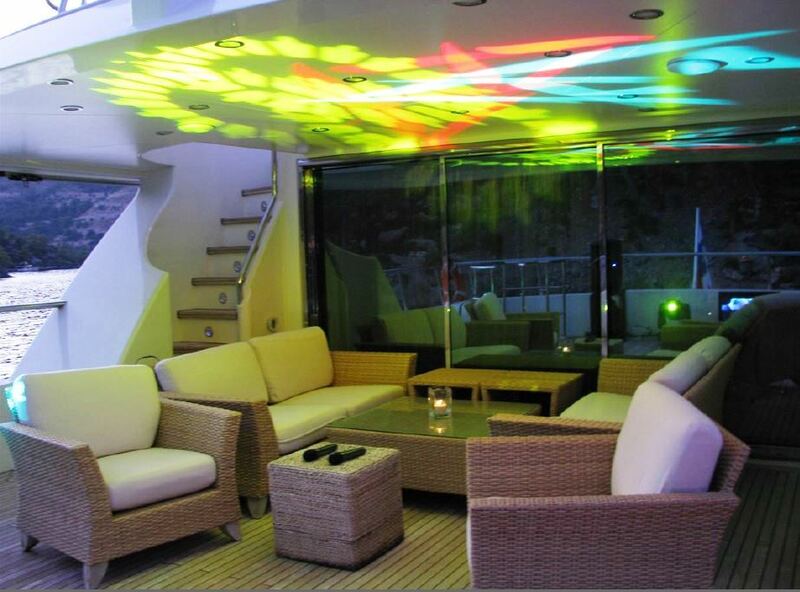 The upper deck is partially shaded and boasts direct access to the skylounge, an exterior lounge with plush seating and coffee table. 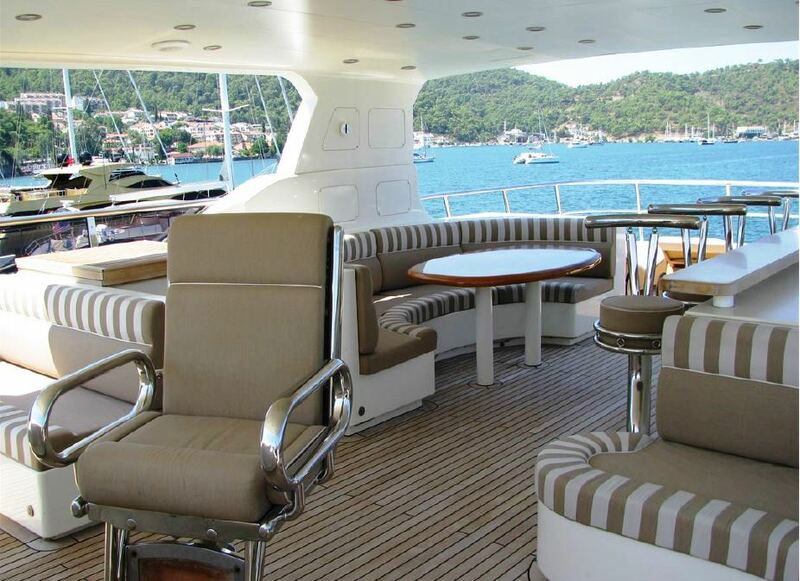 The sundeck is ideal for any occasion, offering an alfresco dining option, wet bar with cooking range, additional seating and chaise lounges. 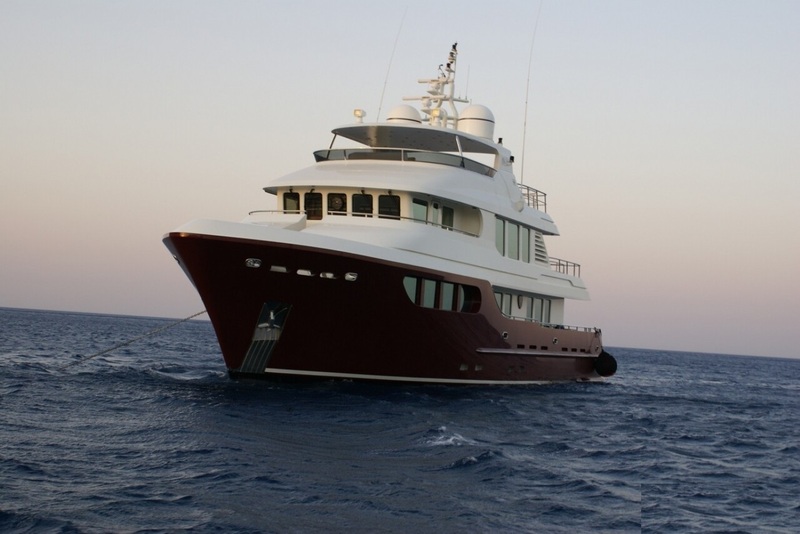 Powered by 2 x MAN engines, BANDIDO cruises at 11 knots. 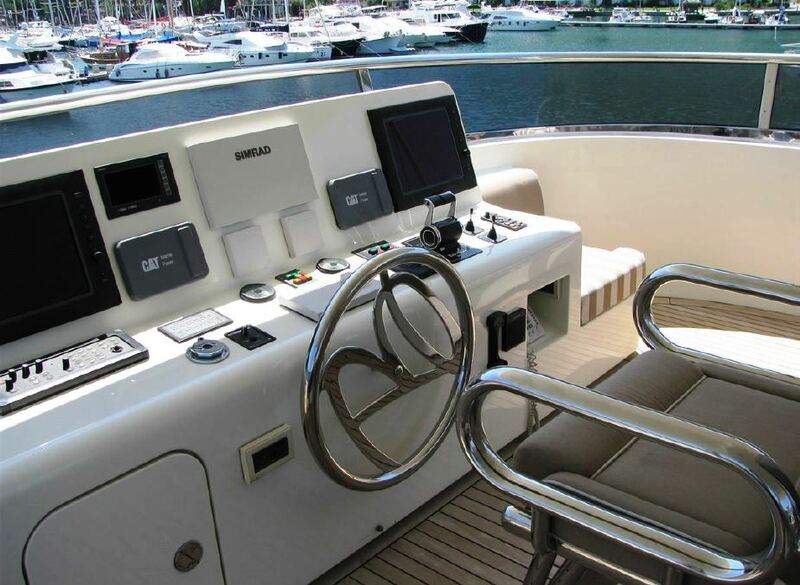 She features zero speed and underway stabilizers for optimum comfort. 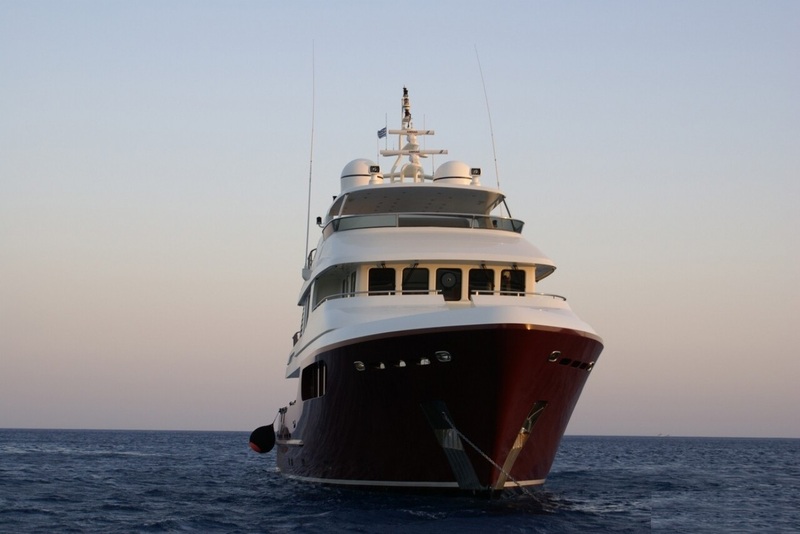 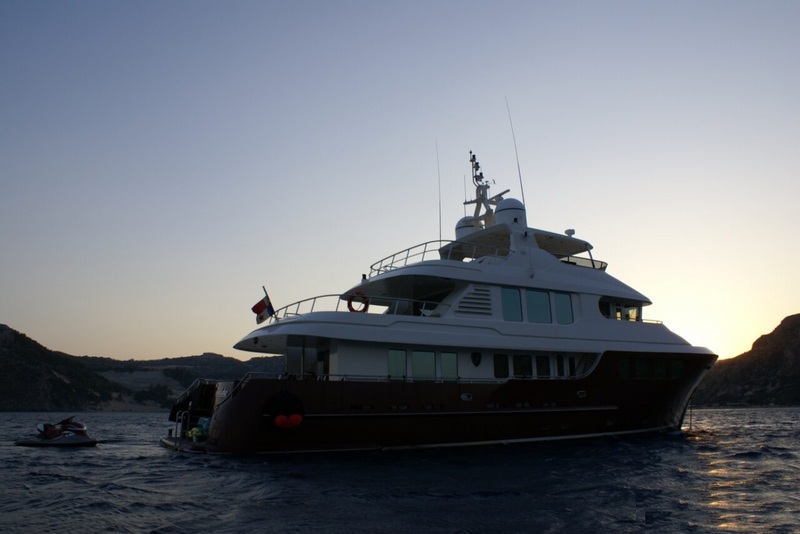 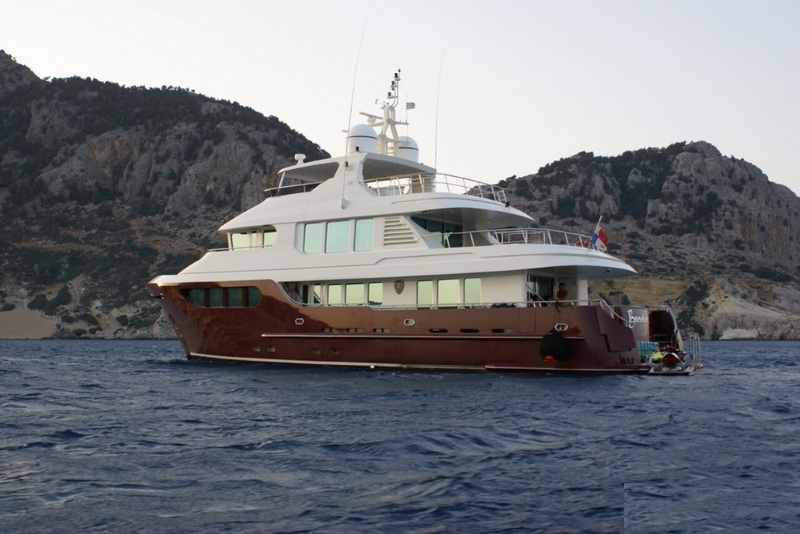 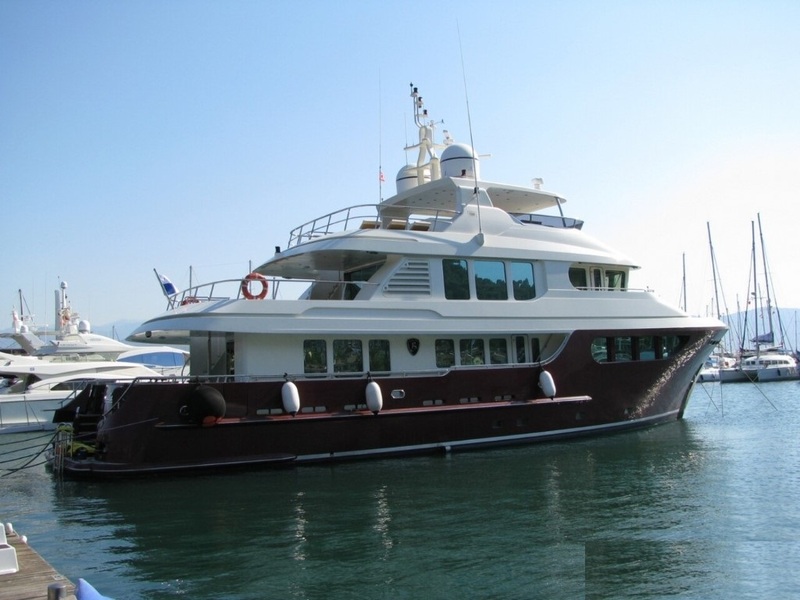 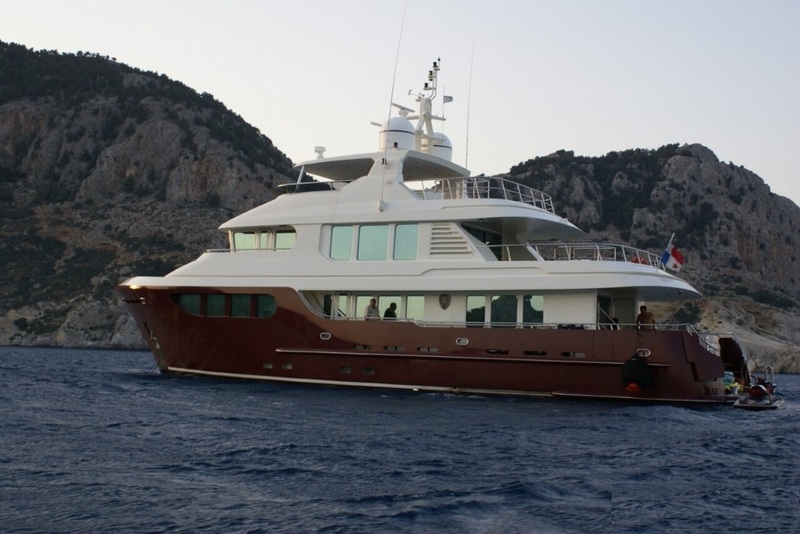 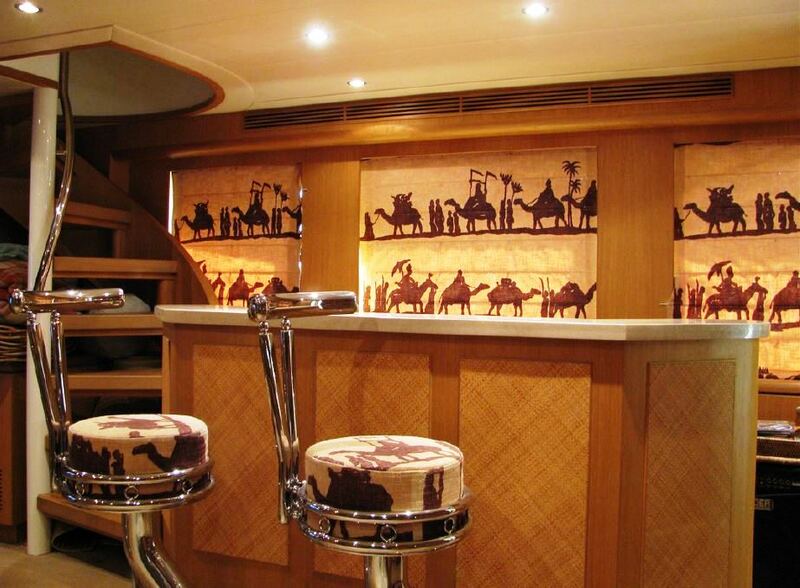 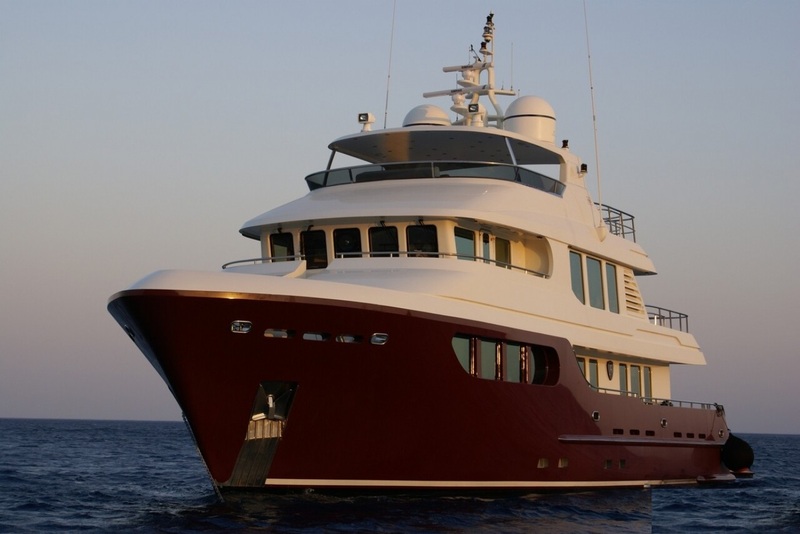 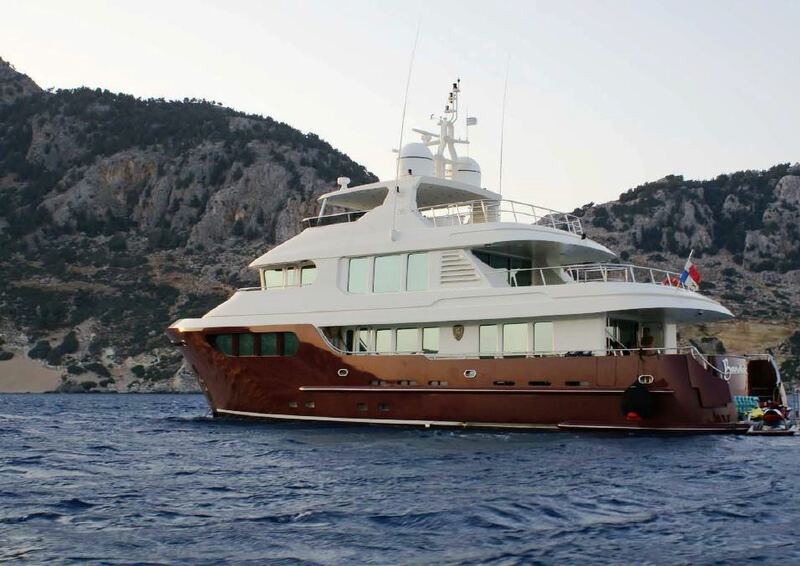 Luxury charter yacht BANDIDO can accommodate up to 8 guests, in 4 double, en-suite cabins. 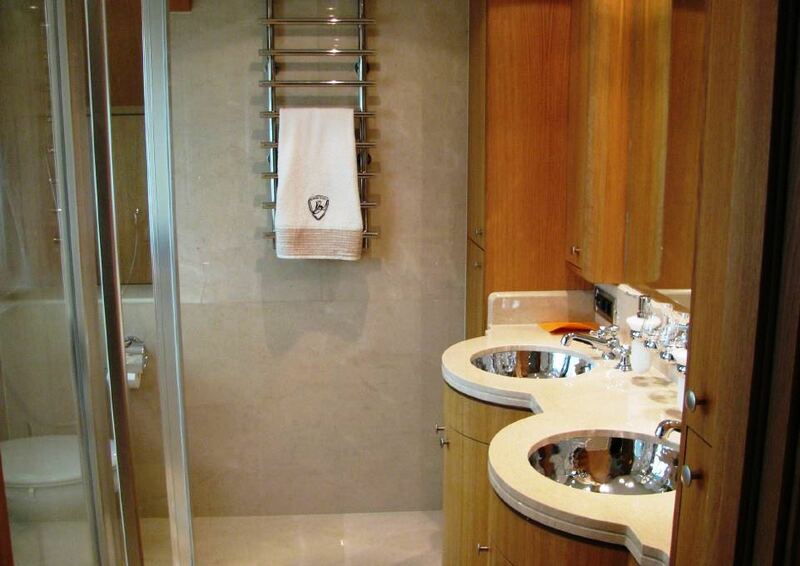 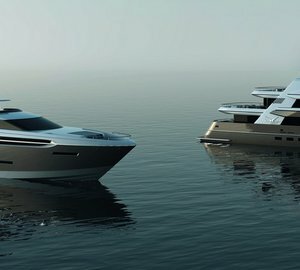 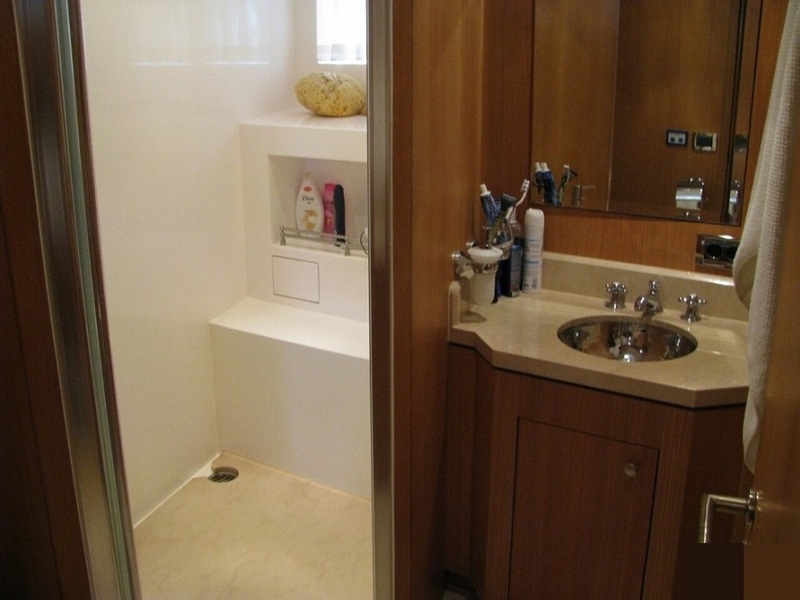 The master cabin is on the main deck forward of the salon and full beam of the yacht, with a center lined double bed, sofa, vanity and en-suite with his and hers sinks. 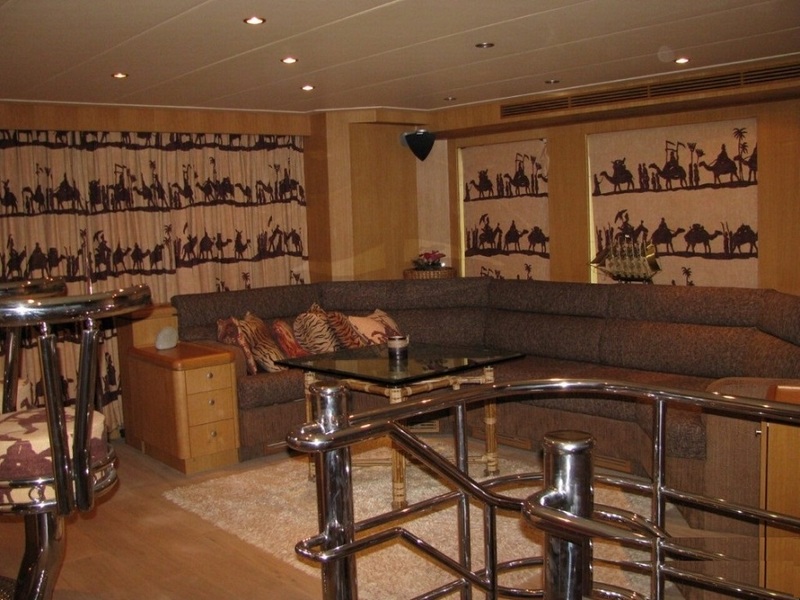 On the lower deck are 2 mirror image guest cabins, each with a walk around double bed. 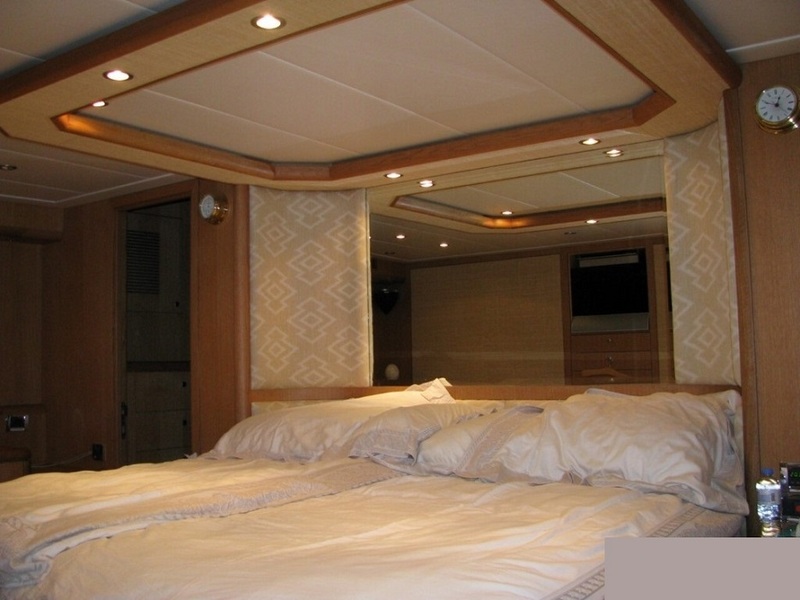 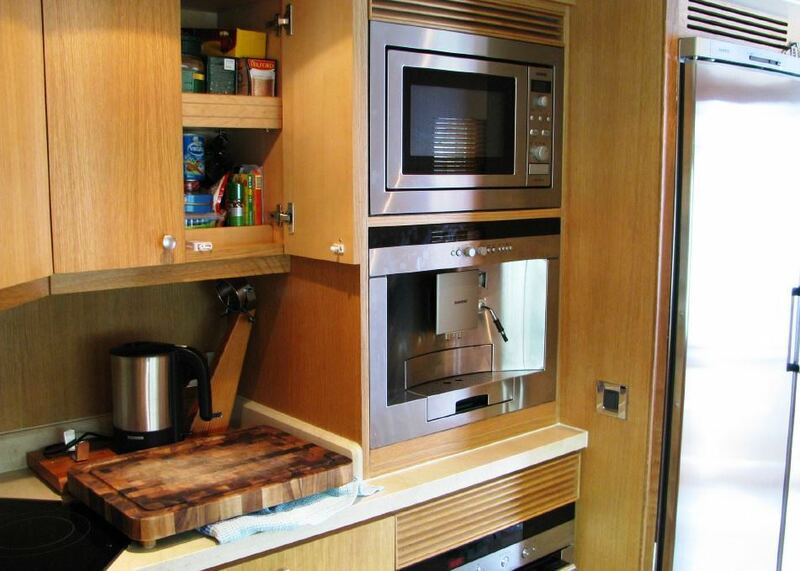 A further guest cabin is on the starboard side and offers a French style double bed. 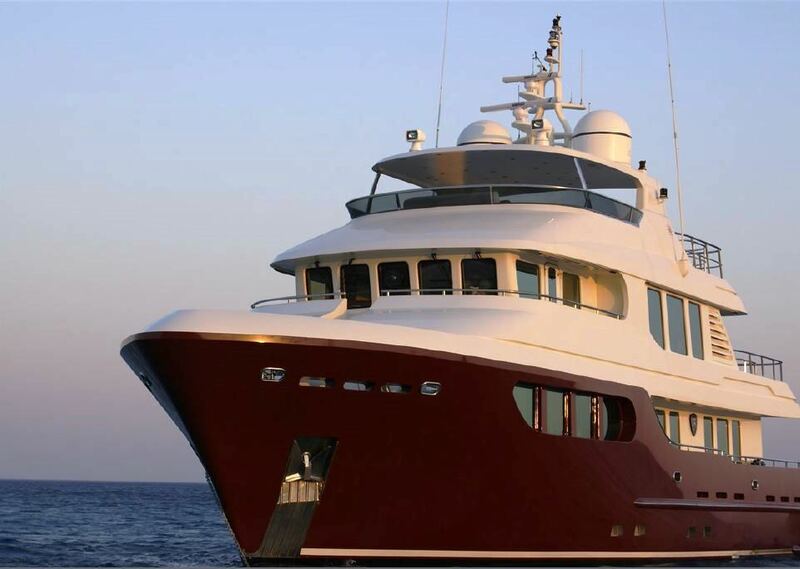 Please contact CharterWorld for further information.